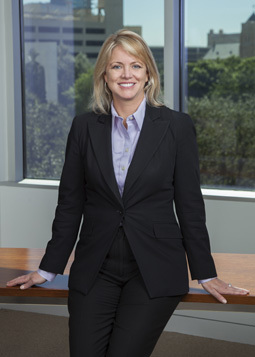 Julie C. Bergkamp is the Vice-Chairman of the firm’s Business and Tax Section. Ms. Bergkamp’s practice focuses on business and tax planning for clients in various industries, including healthcare, manufacturing, and energy sectors. Clients have included everything from Fortune 100 companies to closely held family organizations. Ms. Bergkamp also represents a variety of health care organizations, with contractual and state and federal regulatory issues. She advises physicians and health care service providers on issues involving M&A, business structuring, and Fraud & Abuse rules. She also advises her clients on various aspects of intellectual property laws, including trademark, copyright, and licensing matters. She previously practiced law in New York and Chicago, where she primarily focused on international tax law, and on mergers and acquisitions before returning to her hometown of Fort Worth and joining Cantey Hanger LLP. Texas Tech University, Lubbock, Texas, 1992 B.A. Syracuse University College of Law, Syracuse, New York, 1995 J.D. Julie C. Bergkamp’s practice focuses in tax and business planning for multinational and local clients. Clients have included everything from Fortune 100 companies to closely held family organizations. Because of her diverse experience, she is able to assist her clients in a wide range of legal matters. Julie also represents a variety of health professionals with healthcare regulatory issues. She advises physicians and health care service providers on issues involving Stark Law, Anti-Kickback rules, and the Affordable Care Act. Ms. Bergkamp was born in Mississippi but moved to Fort Worth with her family at the age of nine. As a young adult, she lived in Paris, France, as well as in New York and Chicago, before returning to Fort Worth and joining Cantey Hanger in 2003. She previously practiced law in New York, New York and Chicago, Illinois, where she primarily focused on international tax law, and on mergers and acquisitions.